Oakland Manor is a 39 bed, full service, skilled nursing and rehab facility. We are conveniently located inside of McLaren Oakland Hospital’s East Tower. Oakland Manor is committed to providing the right help at the right time, to get your loved one back to the full, rich life they once enjoyed. Oakland Manor has a variety of services which include: in-house Physical Therapy, Occupational Therapy, and Speech Therapy. We offer specialized nursing services and therapeutic meals served in a “family” atmosphere designed to fuel your recovery. Social Services is here to help you through the challenges of dealing with a love ones continuing healthcare needs. It’s complete care that’s designed to deliver the best results. See for yourself why so many patients and their families choose Oakland Manor. We offer 24 hour on-call Physician services, in-house Psychiatric Services and daily Pharmaceutical Services. 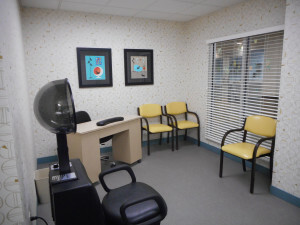 We also offer Podiatry Services, Specialized Wound Care, Individual Dietary/Meal Services, Vision Services, Hearing Services, Dental Services, Housekeeping, Laundry and Hospice.